Dubai has been a popular target for real estate investment since the Freehold ordinance was inaugurated. The legislature permits the foreign investors to buy and sell properties in the Emirates. 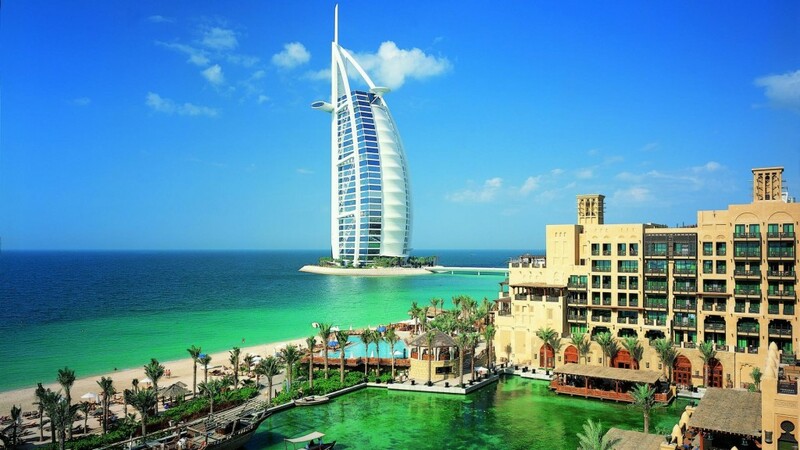 It also provides a great opportunity for a lot of expatriates who are planning a long-term stay in Dubai. Purchasing a house in Dubai may involve great emotional pace and financial obligation for a long period of time. Hence, in making this decision, one must carefully plan it accordingly and should be aware of several stages that one should go through. Dubai Real Estate market can be tricky for first-time home buyers, this article serves as a guide and will help to better grasp the vital steps of the whole process. The goal here is to obtain the right deal in the shortest time possible. But, how can it be possible? One of the fastest ways is to have a Real Estate Agent to assist you! Always consider your budget and do not be alarmed if it is taking a little while for you to find your dream house, this whole procedure really takes time, so make sure not to go over your budget if you cannot afford it. Let’s go through the overview of the main procedures of home buying. Before starting your exploration, it is best to go through the vital procedures of the whole transaction to at least have an insight on what is expected to happen. Before initiating a search, ask yourself a few questions like, Do I really need to buy a house? You should have a firm YES for an answer. If you are a bit hesitant on this, most probably because you don’t really need it and you might consider renting, instead. Carefully decide whether to rent or to own, which one best suits you at your current situation, so that you will not regret your decision afterwards. One of the most important steps in house buying is setting the budget. Get mortgage financing if necessary and make sure to have it approved beforehand. It is not a good idea to search for a property then have the financing approved afterwards. House buying is a very important move, so make sure that you are emotionally and financially prepared. It is also important to have a strong motivation to buy and understand how to conduct a search on properties that suit your needs. Good properties can be sold fast in the Dubai market, setting a good budget or having your financing approved will give you less chance of losing your dream house. Mortgage financing may involve a lot of paper works, so better to be prepared ahead of time. Make a list of your preferences before starting up with your target, determining your preferences will greatly help the agent to know which suitable options he/she should offer you. Once given some options, categorize the ones that fit versus the ones they say will suit your needs. As soon as you have determined your preferences, it is time to select the real estate agent to work with you through the whole process and to better understand how the Dubai property market works. Make sure to choose your realtor wisely because how you work together will greatly affect its outcome. There is no need to rush in choosing a real estate agent, see to it that you are both on the same track. A realtor will provide a huge assistance through the entire process and will be a great source of information. Don’t hesitate to ask all the questions you need to know and have a constant and effective communication to avoid mishaps. Making your own research will let you understand reality and will help you avoid having exaggerated fancies in choosing your dream house. It will allow you set reasonable qualifications and will help you be aware of the market pricing. Narrow down all the options available to you and consider all the options provided by the real estate agent and options from your own research. See to it that you pick the property that best suits all your requirements according to your needs, lifestyle, budget, and your future plans. Avoid making any abrupt decision, after all, house buying will have a great impact on your future. It is time to view the property and conduct an evaluation before the contract signing to see if everything is doing well as advertised. In case of any notable problems, you can negotiate the price of the property with the owner. On the other hand, you’ll be one lucky owner in a little while and may start with the contracting process if everything goes as advertised. However, it is also important to check if there are any liabilities involved if purchasing from the secondary market. The seller should secure an NOC (No Objection Certificate) issued by the developer to ensure that the property is free from any financial obligations. Otherwise, the property may have issues with the transfer of ownership. Selena is a professional blogger and loves to write on diverse topics. Get in touch with her on Twitter.